Our dedicated team of aviation professionals provides all administrative services, so you don’t have to. This saves you money. We take care of benefits, payroll, taxes, etc. We ensure that you are satisfied with our performance as well as the performances of each of our flight crew. We put our reputation into every airman. At Paramount, we bring to you only the most dedicated, qualified, professional flight crew members available. We ensure that any potential flight crewmember we present to you passes our strict screening process FIRST. Additionally, our flexibility allows us to custom tailor our services to specifically meet your needs. Our interview capabilities include: simulator evaluation by type-rated airline professionals, individual profile evaluations (including knowledge base, personal attributes and experience), personal question and answer sessions, and background verification. 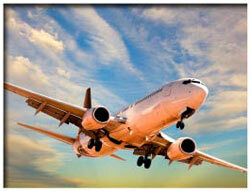 We will help you hire qualified, professional flight crewmembers. We are available to talk with you about your needs at anytime. Please contact us by phone, fax, or email at your convenience to allow us to explain how Paramount Aviation Resources Group, Inc. provides the best aviation professionals and crew leasing services in the business.